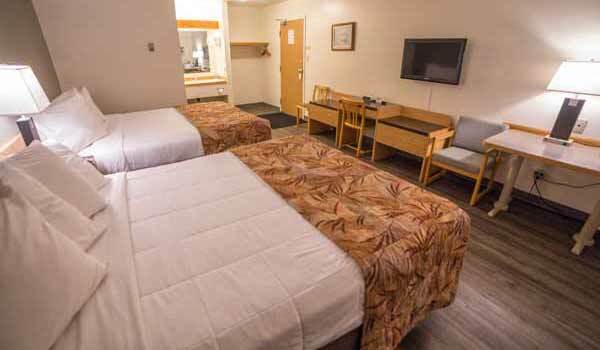 Woodland Inn is a cozy and clean hotel in Meadow Lake, Saskatchewan. We are family-owned and have been serving the Meadow Lake area since 1992. We continuously upgrade our accommodations, resulting in the most comfortable rooms, with the highest quality amenities. That’s what makes us the highest rated property in Meadow Lake! 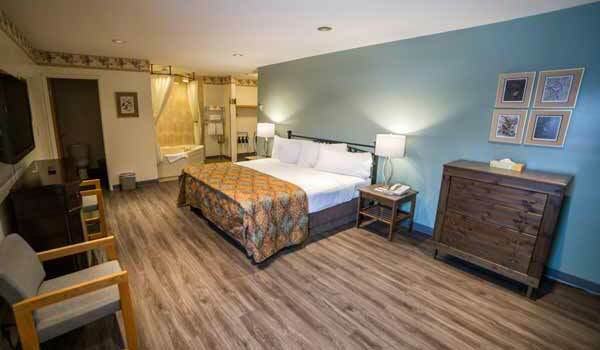 Woodland Inn was one of the first to offer in room high-speed internet, provided by SaskTel. Our spacious rooms are 100% smoke-free. You can also enjoy our complimentary continental breakfast. Our staff is professional and helpful, so allow us to help you enjoy your stay at Woodland Inn! Book your room today! My husband and I have stayed at the Woodland Inn many times and have never been disappointed in any aspect of our stay! You get a warm welcome as soon as you come in the door. The rooms are very clean and roomy, great beds and pillows. The Inn is quiet, clean, well maintained and they offer a great complimentary breakfast! The staff are friendly and helpful. We wouldn't stay anywhere else while in Meadow Lake! I stayed at this hotel a few times a year for work related travel. The staff treat me like royalty! They are so helpful and accommodating; always a pleasure to chat with. Although it is dated, as some have commented, the rooms are extremely clean, and the breakfast included is excellent. 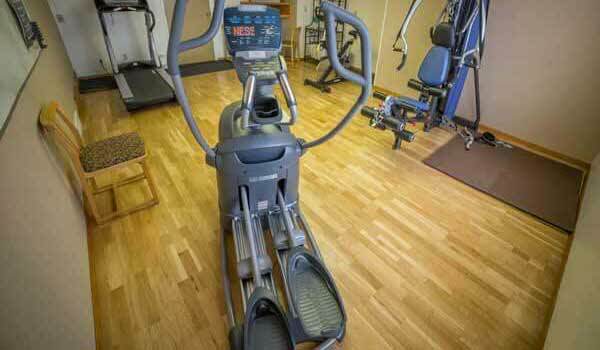 I also appreciate the gym that is available if the weather isn't suitable for walking outside, then it's a great way to unwind after supper. This is not a fancy hotel, but it is clean and well maintained. It is easy to find and there is plenty of parking. The linens were fresh and there is a small fridge and microwave in the room. The staff were friendly and accommodating. We would stay here again.